Do you have an Android or iPhone? Do you use it while you are disc golfing? Would you like to? Ever since I got my phone I thought it was the perfect companion for disc golfing. I could use it for pictures, sometimes post here on the blog, and obviously have a way for people to get a hold of you while out on the course(like when you are in the middle of wedding stuff and want to get away for a little bit, but still want to be accessible) . But, I also thought that there had to be some cool apps that would work specifically for disc golfing. The main one I wanted was a scorecard. Something that you could track your scores, maybe even save your scores so that you could see if you were progressing at your favorite course. Another one would be a map of the course you are at. 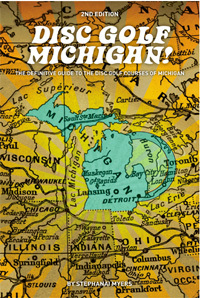 I know that some courses have paper maps or a posted map of the entire course, but a lot do not. And if you are going to a brand new course, it’s a pain to try to find the first hole and also try to track where the next one is. When we were up in Ludington playing on the Beast it was a real pain because there wasn’t a map, in fact we ended up doing some extra holes because of the weird design of the course. Therefore, an app on your phone that could easily pull up the course you are on and show you where you were in relation to the next hole would be perfect. I will admit that I never really looked for those apps, I just assumed that there wasn’t one. For the scorecard, I thought about just getting a regular golfing one and using it, but most of the ones I had found were real specific to golf or were not free. I’m not one for paying for an app, because you never know if it’s going to be worth it, and usually there is a free one floating around somewhere. Well, after reading a post on Reddit about this exact topic (What android apps do you use for discing? ), I found a couple they suggested and have given them a try. There still isn’t a disc golf map app yet, but there is a decent scorecard app and even a flight chart app. What it looks like when you enter in the throws for a hole. Easy Scorecard is a free app that is exactly what it sounds like. You can use this app to enter in your scores for a course, it gives you stats, and is pretty easy to use. There is a pay version that looks like has some more features. This scorecard is both for golf and disc golf, so some of the features might seem weird for disc golf, but overall if you want a way to track your game with out using paper and pencil this is the way to go. For one thing, you’ll be able to easily read it instead of trying to figure out your buddy’s weird handwriting. 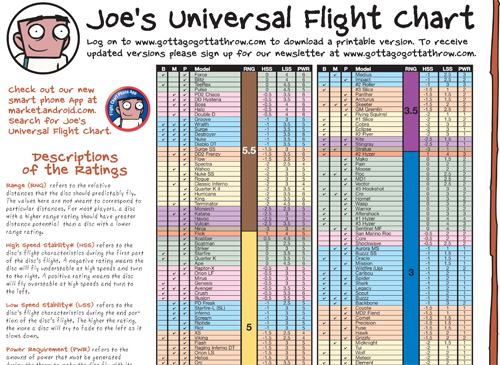 Joe’s Universal Flight Chart is a useful app to have when you are shopping for a new disc. Covering just about every disc you can, the chart has different ratings to judge your disc. The app allows you to add “dots” to some of the disc to filter the chart to your specific needs. It also has a search feature in case you see a disc and want to know the different stats on it. 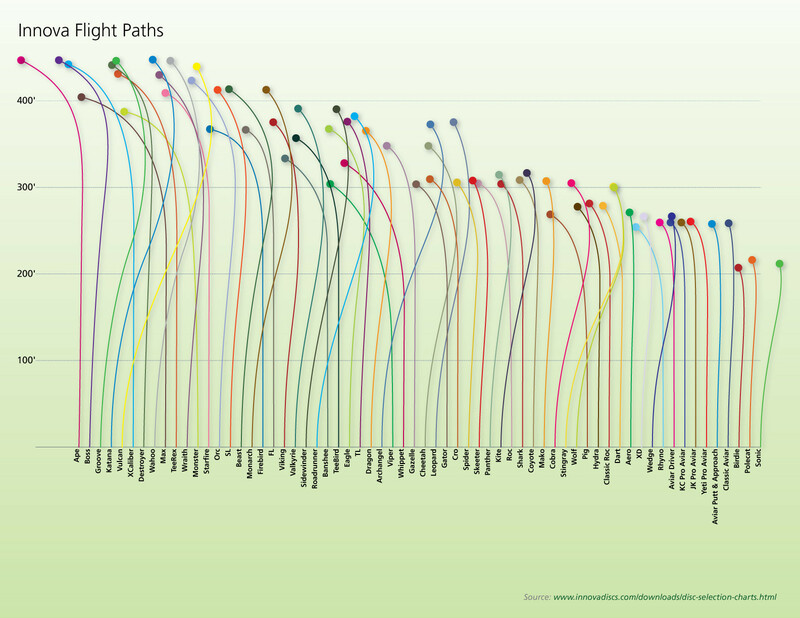 Though not as visual as the chart I posted last week, this one covers more than just Innova. I also downloaded the Innova disc golf app, which as you can guess covers all things Innova. You can order discs, accessories, and other Innova products. The app is basically a version of their webstore. Maybe good to use if you are out on the course and lose a disc and want to order a replacement right away? If you have a different reason for using, please let me know. Those are the three I have downloaded so far. The reddit post mentions some more, one to help you track your discs and using a google app called “My Tracks” to crudely map out a course. I think the My Tracks app is just a way to map out anything, so it’s not specific to disc golf. Do you know of an app that I didn’t mention or maybe have a review on one of the apps I did? Let us know in the comments section.